Our custom Web hosting plans are designed for customers who look to us to update and maintain their Web sites. 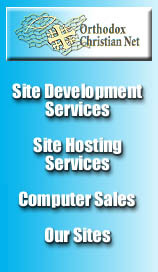 We maintain and update your site either on our domain or a Web hosting provider of your choice. We provide comprehensive consulting and support. ($25.00 per Month) - host your site at "www.yourcompany.com"
($35.00 per Month) - host your site at "www.yourcompany.com"
($50.00  $75.00 per Month) - host your site at "www.yourcompany.com"
($75.00 $200.00 per Month) - your site hosted at "www.yourcompany.com"
Last modified Wed, 03 Jan 2001 01:56:53 GMT.